Quote Reply Calendar Event: CFFC Fall Color Tours 2019! 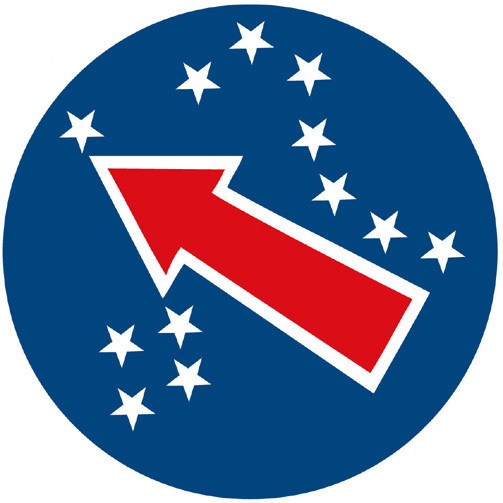 Welcome to the 2019 CFFC Fall Color Tour Announcement and Discussion Thread! 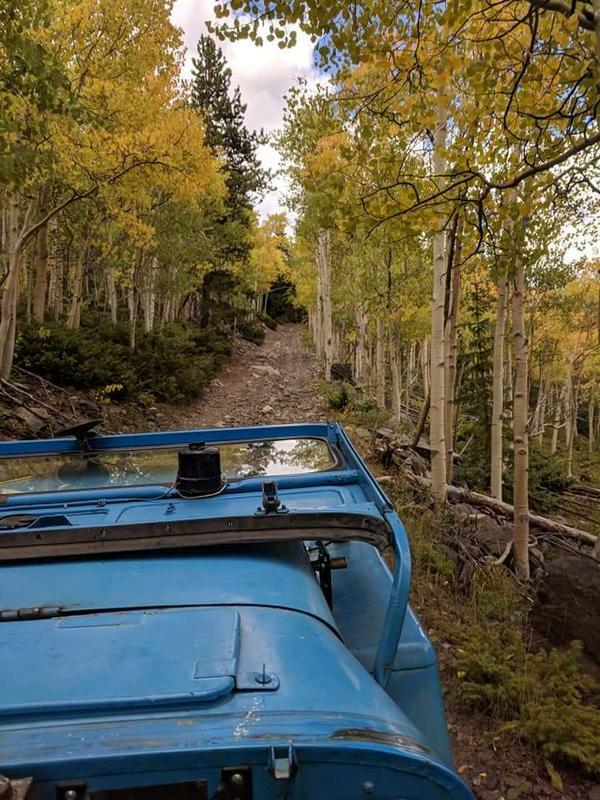 Let us take you on a tour of the Colorado Rockies, complete with blue skies, gold and red aspen leaves, lots of rocky dusty roads, and some of the best folks you could ever go Jeeping with. Mark your calendars for the week of September 15 - 20 for some high adventure! Bruce, Ron, and myself will be leading two tours every day, taking you into the mountains, crossing creeks, exploring high meadows and passing through the shadows of aspen in full fall foliage. I hope you'll be able to join us. We're planning to make a few changes for this year. Stay tuned to this thread to learn what's new for 2019. As we have in the past, we'll offer free camping at Thirsty Dirt Ranch. And we'll have our potluck dinner and raffle prize giveaway on Thursday evening. And we'll offer some training in mountain driving for those who are new to the challenges that our Jeep trails offer. Nancy and I, along with Bruce and Ron, are looking forward to seeing old friends and meeting new friends in this year's Fall Color Tours! We missed our first planned year last year with too many last minute jeep issues. But they are mostly worked out now and hopefully will even have the PTO winch installed. So we are marking the calendar. We are the ones with the droopy front fenders. Not thinking wife is up to a full week, but probably just 3 days. I should get some mountain trail experience in NM I this summer. Which days do you suggest for newbs? Welcome to the 2019 Fall Color Tours discussion thread. We look forward to seeing many smiling faces again in September. But we’ve got a few changes we’d like to make for this year. 2018 was one for the record books. We had 68 Jeeps participate in the FCT, and over 130 people attended. We had several new runs that folks enjoyed. And we had 22 states represented in the group. We were successful beyond my expectations in bringing so many Flat fender Jeeps together to celebrate good Jeeps, good friends, and good trails. In fact by mid-week I think my fun-meter was pretty well pegged. Despite the great cooperation from all who were here, and the handful of folks who help me host this event, I began to feel like this had gone beyond what I was comfortable trying to manage. I came to the realization that I need to limit the size of this event to retain my sanity, and to be able to enjoy my guests. So for 2019 I am making a few changes that I hope will help. The first change will be implementing advanced registration. We’ve had registrations for the last two years and we’ve appreciated everyone’s cooperation in filling them out. We don’t charge for registration, or participation, and that won’t change. The purpose for having the registration is to have information about all participants in the event we have a medical emergency affecting any of our guests. We’ve had old friends suffer from medical conditions in other places, and if they should suffer when they are with us, we want to know who to contact and how to reach them. As part of the registration form, we are including a liability waiver. I’ve been advised that I should have one by many people over several years. This last year we had a few instances that could have put us in jeopardy of being held liable for tragic events. Fortunately those events did not become tragic, but they were close enough to raise concern. As a result I sought assistance and guidance in putting together a Liability Waiver that will now be part of the registration. It’s written in plain English so most folks should be able to read it and understand what it says. If you have questions about it I’ll be happy to discuss it with you. 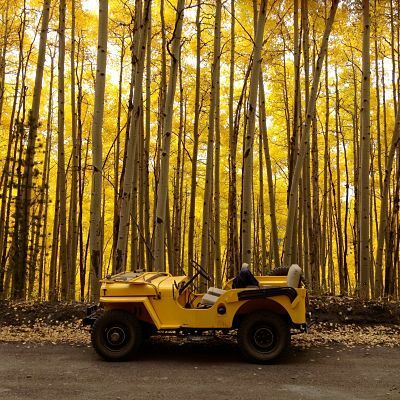 I’m planning to limit the size of the Fall Color Tours to 50 Jeeps, around 100 people. We were close to that number in 2016 and 2017, and I was fairly comfortable with those numbers. So how am I going to limit the numbers, and how will I choose who can come? I’ll tell you now. Mike Picard, 20123 Hideout Lane, Nathrop, CO 81236. The form will be available from now through the end of April. I need to have forms from everyone by April 30, 2019. For the second part of the process, on the 1st of May I will use a random number generator to assign numbers to each form. I will put the forms in order from 1 to 100. The first 50 will get to come. The rest will have the option of being on an alternate list if someone in the first 50 cancels out. I will send out notices to the address on each registration form with the results. This is the fairest way I could come up with to select the 50 Jeeps for this year. In the coming months we’ll post a list of essential and recommended parts that each Jeep should have. By sometime in June we’ll post the roster of trail rides for the week. In between we’ll answer questions and talk about many aspects of the tours. I don’t want this to become the ‘Woodstock’ of Willys events by growing too large. I also don’t want it to become a business. 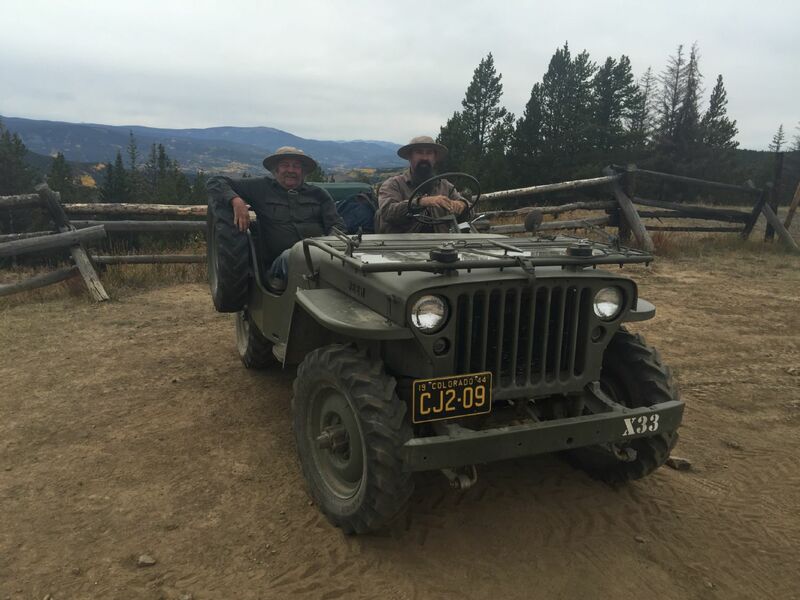 I want it to continue to be an informal gathering of Willys Jeep enthusiasts who enjoy riding rugged trails in the mountains together. By limiting the numbers in a fair fashion, I hope to keep this event available to any old Jeep owner, and help our circle of friends continue to grow. Again, Welcome to the 2019 FCT thread. I hope we’ll have many engaging discussions in the months to come. On the list, you have 4 lines for 4 different names. I assume that's to mean a max of 4 people per Jeep/entry. What if that line up of people were to change before the event? Can that be adjusted as needed as long as it stays within the max of 4? Here I am very flexible. If you have 6 people in your family and they will all be going out, then add some lines to the back of the form and add the extra folks on there. We don't usually get more than 3 folks per Jeep, but sometimes the whole family comes. I don't want to cut it off at 4 people per Jeep in attendance. Can you change the names after you send in your registration? Yes. Right up to the day you arrive, you can make adjustments. Part of the reason for having the early registration is so I have time to input all this info into a spreadsheet that I can print out for Ron, Bruce, and myself to take with us. That way we'll have critical info about each person at hand, and we won't have to shuffle registration cards every morning. That is a pain. Changing a name will be easy to do in the spreadsheet, then we'll reprint that page for our field copy. What "type" of jeep os best for this trip? Can a stock restored one go without too much worry of damage, or is a modified one better? chasendeer, The best Jeep for these tours is a flat fender Jeep. We offer a range of tour challenges from mild to wild. We have had museum quality restorations join us and tour the week without damage. And we have a modified crowd that loves to tackle the tough stuff. Most folks and most Jeeps are in the middle. The Jeeps are mostly stock, but some will have a few mods. Anything from cup holders to overdrives. Some have reproduction fabric-covered wires and a few have V6 engines. You get to choose the degree of difficulty for the trails you'd like to try. Most will leave here without putting a single scratch on their Jeep. All 3 guides drive Jeeps with 4 cylinder engines. We're not out to race around the countryside, but to tour around the countryside. I hope this helps. Glad to hear this. I have a 2a that went over the Rubicon this summer with the Qwaaazy 8's, but I would prefer to take my GP. Not afraid to scratch it, but don't want to roll it down the rockies! Mike thanks for the post on the dates of the '19 FCT. My calendar is marked and I will get the registration off to you soon. Thanks for hosting this wonderful jeep event again this year. My calendar is marked and the registration form has been mailed. Com'on snake eyes . . . baby needs a new pair of tires. Mike that’s a good plan. I used Excel spreadsheet generators a lot in my work. It’s fair, and I’m hopin’. Jay you gotta bring the GP. An annual military-heritage lineup on Aspen Ridge is a great pic. Kate - although I didn't see it specifically stated, there is only one entry form per person allowed. Sending one every week till the deadline will not help your chances. Or will it? Joe Friday - you're a genius! This is the FCT after all, no holds barred. You guys have shown me creative genius on the trail, I hope I can rise to the occasion. Besides which I have a secret weapon -- and her name is Mom. So Katiedid raises an interesting question. Why wait until May to find out if you're selected? I picked May because it gives everyone 4 months to get the registration forms in to me, and it gives you 4 months to get your vacation lined out if you're coming. I'm not opposed to moving it up to the first of April if there are enough folks who are interested in that. I'm sympathetic to those who are still working for bosses who want to know vacation plans months in advance. And Joe Friday, with his tongue firmly planted in his cheek, asks "will sending in one form every week help your chances?" Or something like that. While I smile at the "lottery potential" of having a new form each week from some caring 4-wheel fanatic, to be truthful, the answer is no. Sending in new forms for personnel changes, or corrections is fine. But when the new one comes in, the old one is archived - and not used in the random number lottery. So save the stamps and make your best guess on your first registration.